ALLEGRA BOVERMAN/Staff photo. Gloucester Daily Times. Rockport: Rockport High School senior Katie Reilly talks about her self portrait during the opening of Gallery 24 @Jerdens Lane on Thursday afternoon. 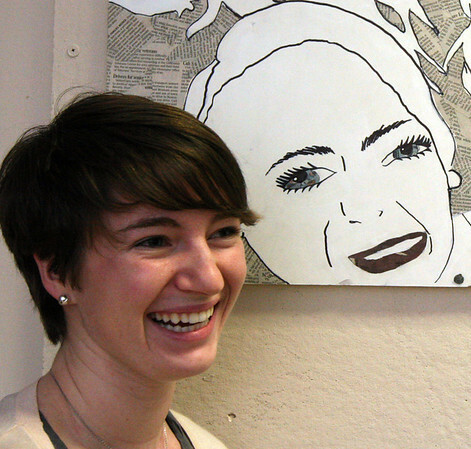 The gallery is student-run and meant to feature the art of students and faculty.